Having vision problems? Not sure whether you need glasses? If you answered yes to both questions then you need to visit an eye doctor for an eye test as soon as possible. 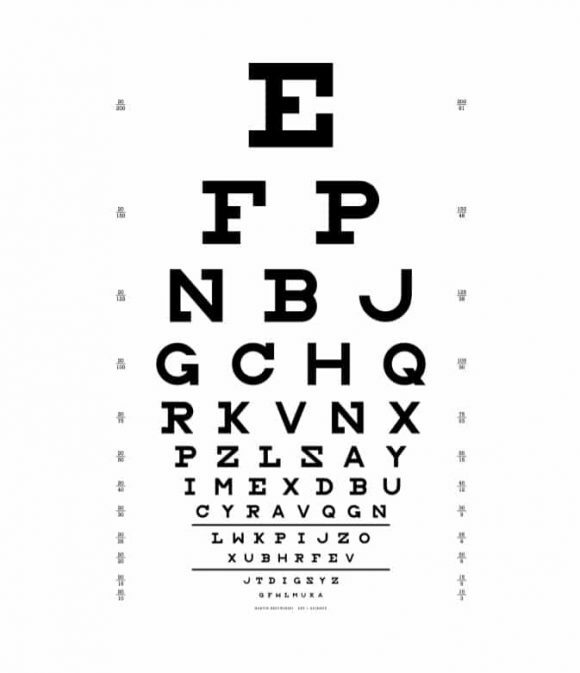 When you visit the doctor for the checkup, he or she may ask you to read an eye chart. 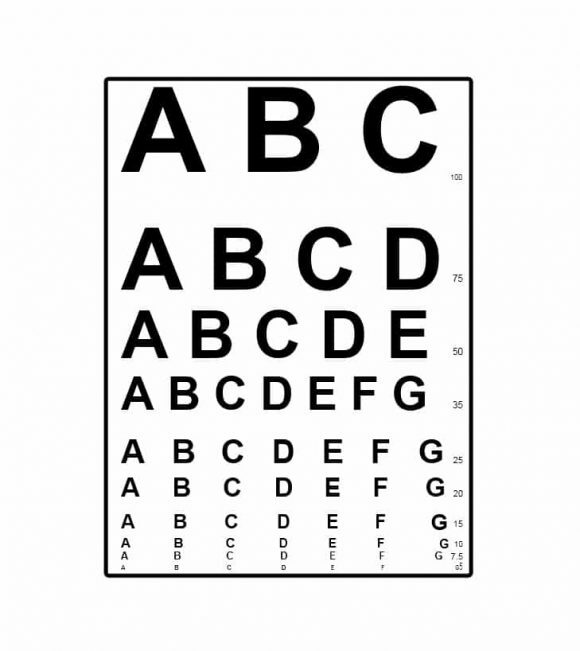 What is an eye chart and what is it used for? Let’s take a look. 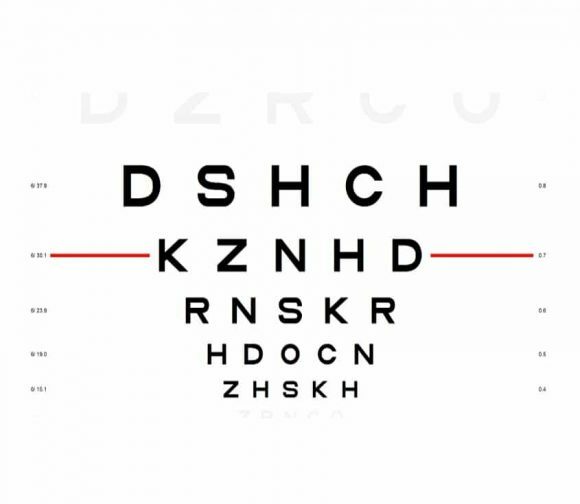 Used to determine whether or not you need glasses, the aforementioned chart measures your sharpness of vision or visual acuity. 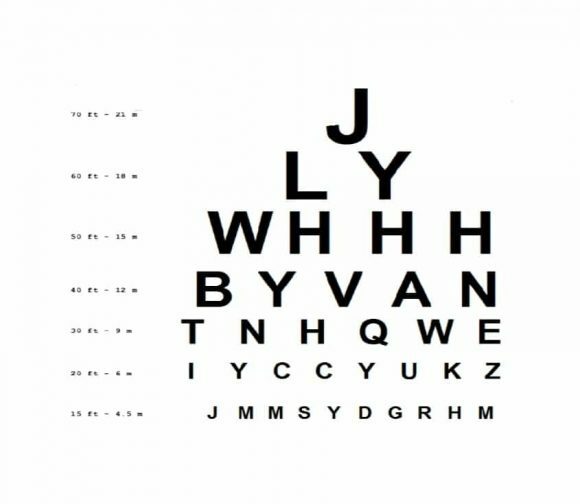 What is visual acuity? 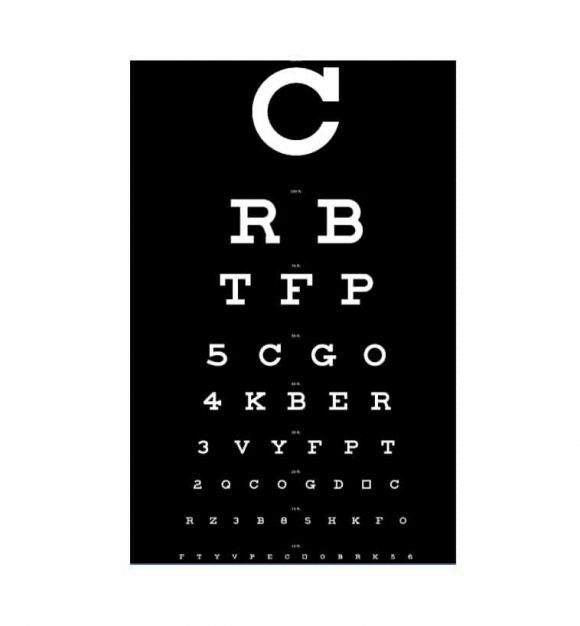 Measured using a special chart with rows of letter, visual acuity describes your ability to see detail with your central vision. 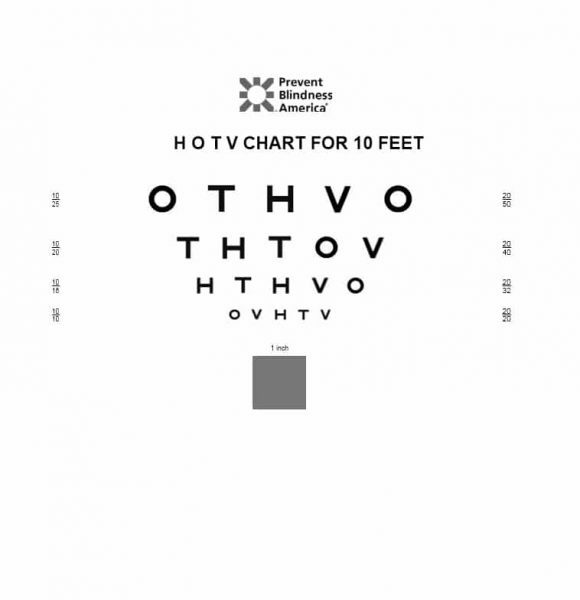 The chart used to measure visual acuity starts with a big letter at the top and then the letters start to get smaller row by row. 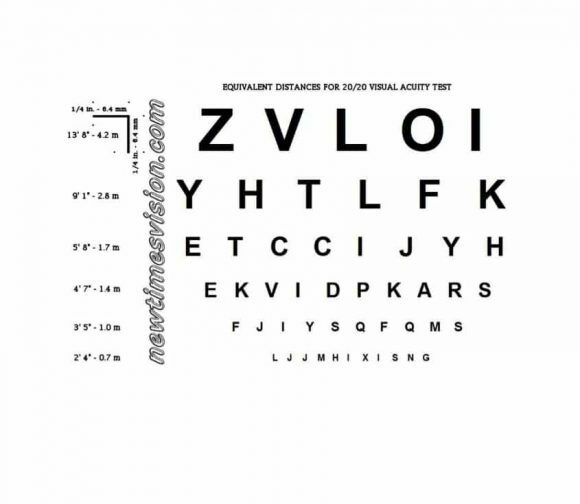 Generally, during the test to measure visual acuity, the eye doctor will make person being tested sit at a distance of six meters from the chart. Generally, when testing one eye, the eye doctor/optician will ask you to cover the other one. However, in some cases, both eyes are tested together. The minimum size of the letter that a person could see with a normal vision from six meters upto sixty meters is what the rows of letter correspond to. After the test, a score is given to each eye. If you don’t wear glasses or contacts, the results of the test will show whether you need them. On the other hand, if you wear glasses or contacts, the results will show whether your contacts or glasses prescription needs changing. With the basics of an eye test covered, let’s take a look at why and how an eye test is performed. 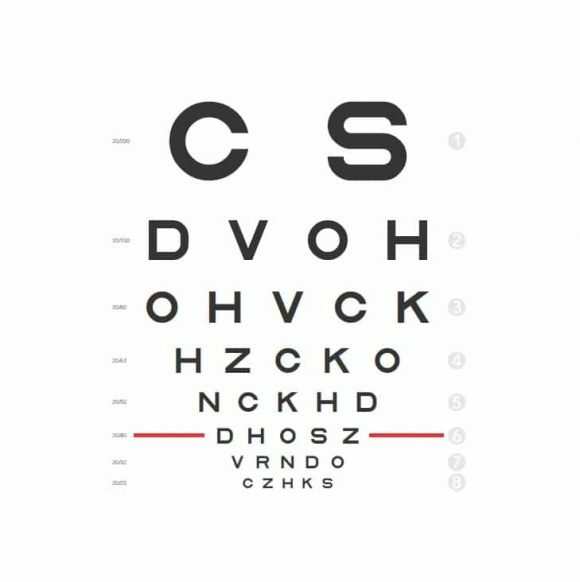 The Eye test or visual screening measures your ability to see at various distances. 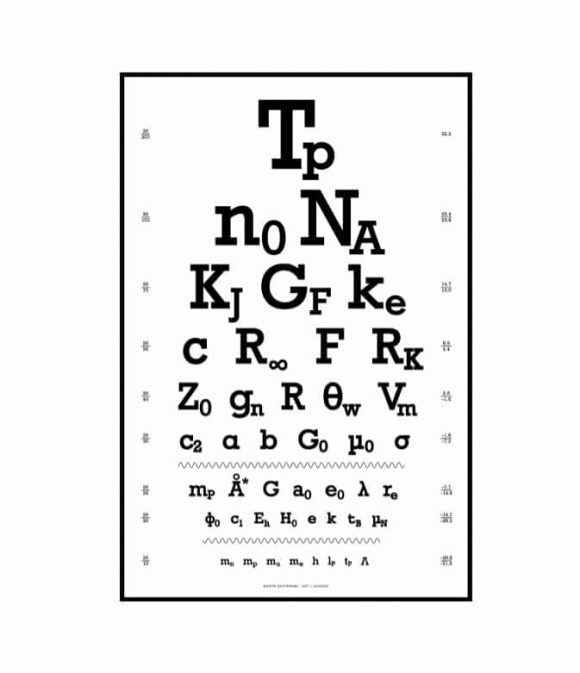 Generally, an eye test or screening is performed with the help of an eye chart. 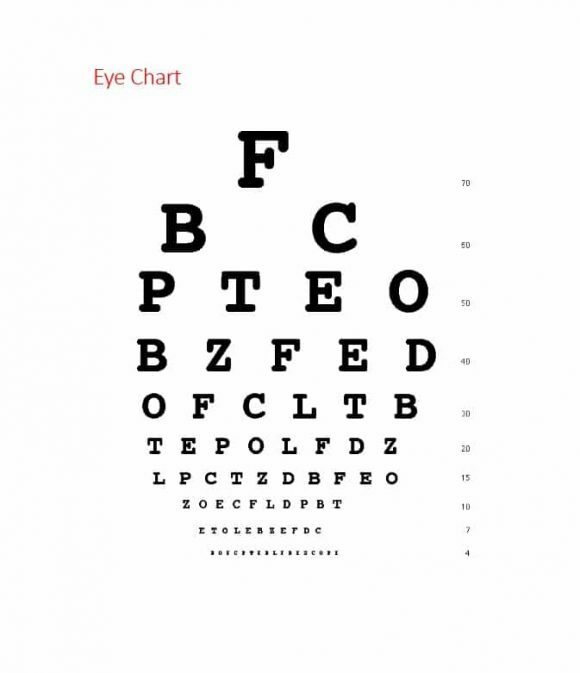 During a routine eye exam, the first thing an optician/eye doctor does is test the vision of the patient using this chart. 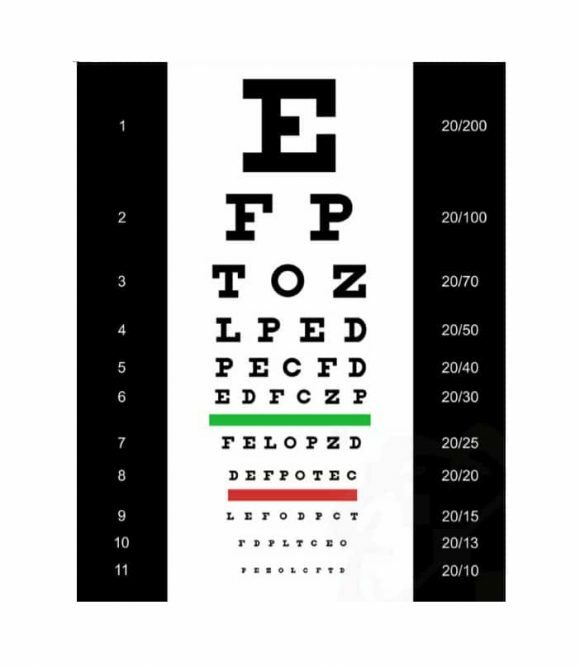 First developed by Hermann Snellen, a Dutch ophthalmologist, the aforementioned chart sets a standard for what a person with a normal vision can see from twenty feet away. The chart has eleven lines of block letters and these letters decrease in size line by line. 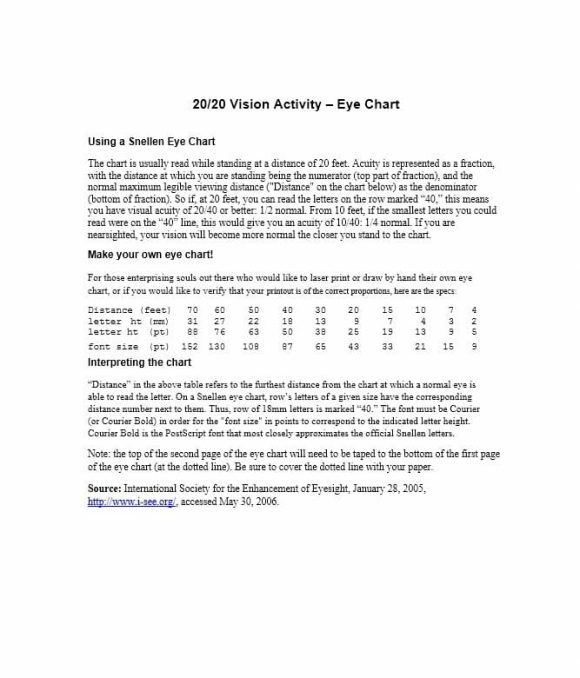 The best way to find out whether or not you need glasses or contacts to improve your vision, the aforementioned chart is used during the initial screening phase of a routine eye exam. 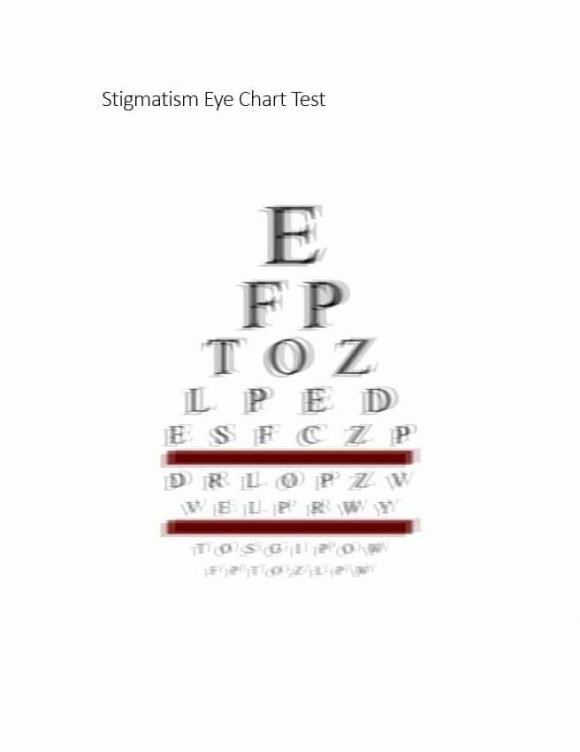 The test is generally performed in the office of the optician. However, there are some where the eye test may take place. This includes a vision-screening test at the local DMV for a driver’s license. 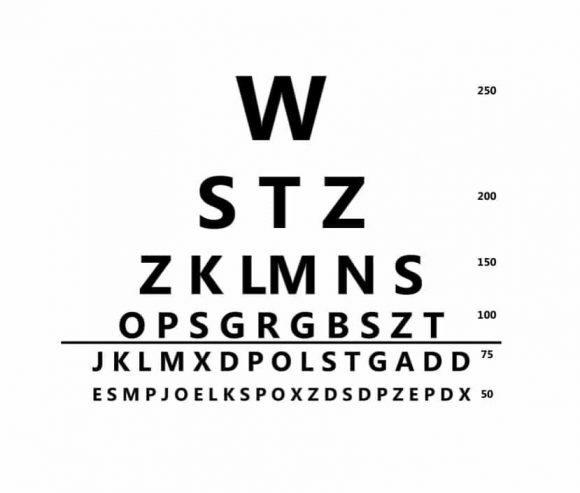 Typically, you will be asked to stand or sit twenty feet away from the chart during a vision screening or eye test. 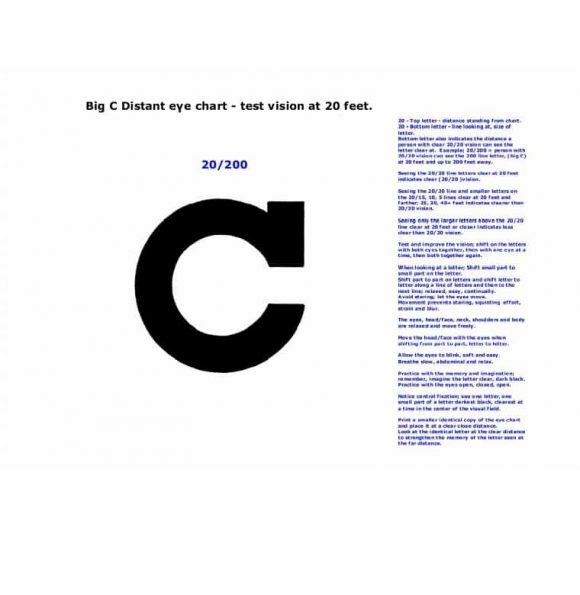 In case the office of the optician isn’t twenty feet long, the chart will be positioned behind you with a mirror placed on the opposite wall to replicate a distance of twenty feet. 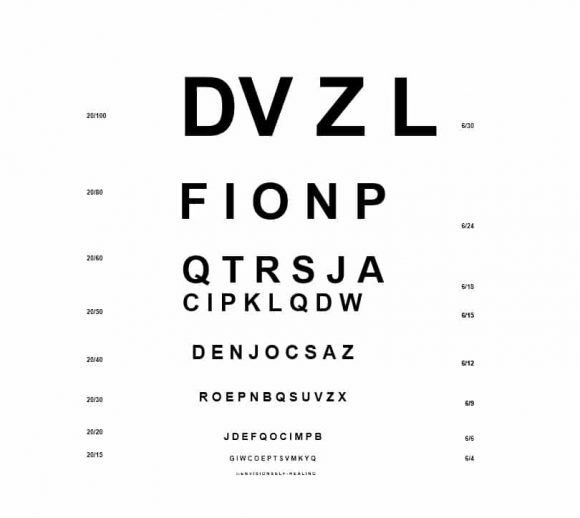 Once everything is in place, the optician will ask you to cover one eye and lead the letters on the chart aloud. The optician will ask you to begin at the top and work your way to the bottom. Once one eye has been tested, the same process will be repeated with the other eye and then with both eyes uncovered. 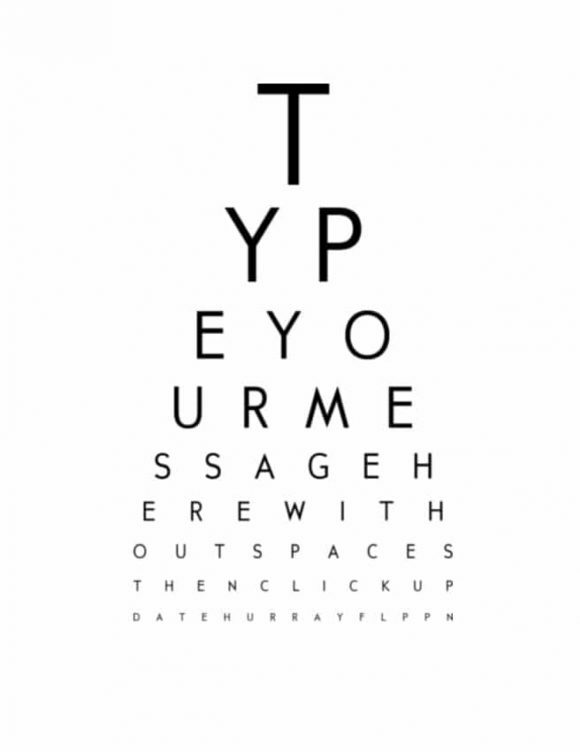 Generally, the eye doctor or optician will determine your visual acuity by the smallest row of letters that you can see clearly. 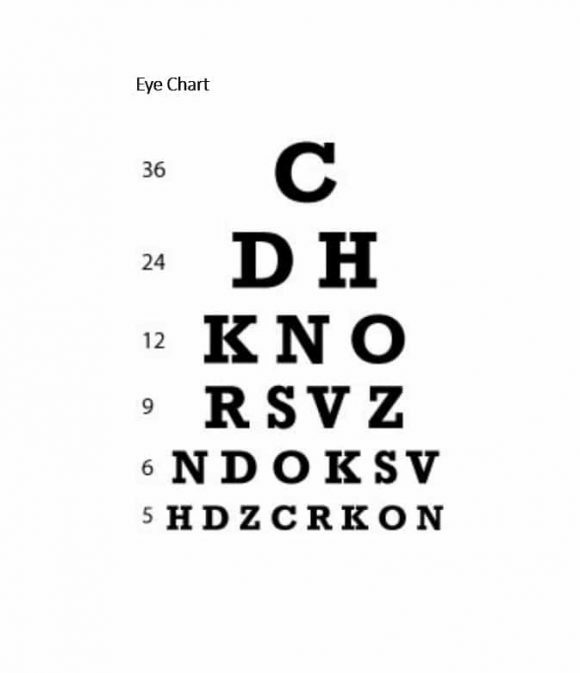 The side of the chart contains numbers that show how far a person with normal vision could be to read that line on the chart. For example, you need to be a distance of twenty feet to read something that a person with a normal vision could read from forty feet away if you can read the line labeled 20/40. 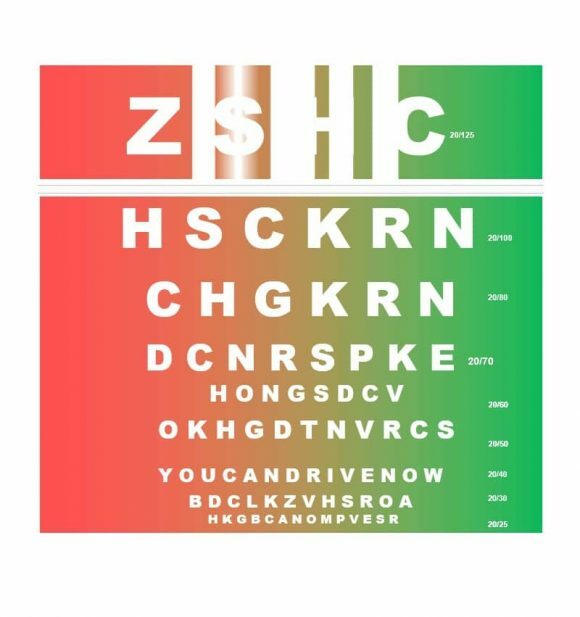 Your optician can use a Snellen chart to determine whether or not your need prescription lenses if you have difficulty seeing. However, other tests may be performed to confirm whether or not you need glasses. 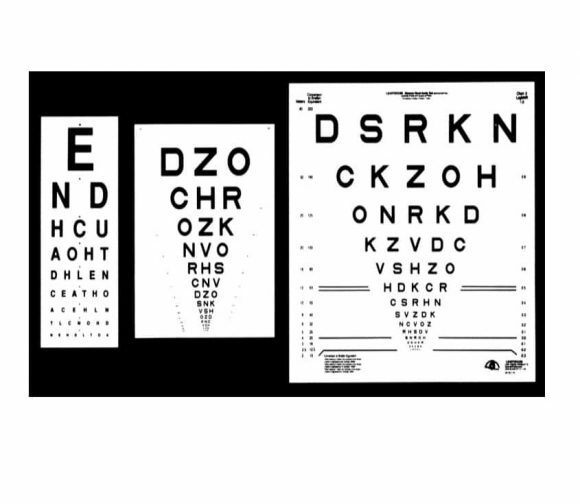 Talking about Snellen chart, it is one of the charts commonly used by opticians to test the vision of the person. 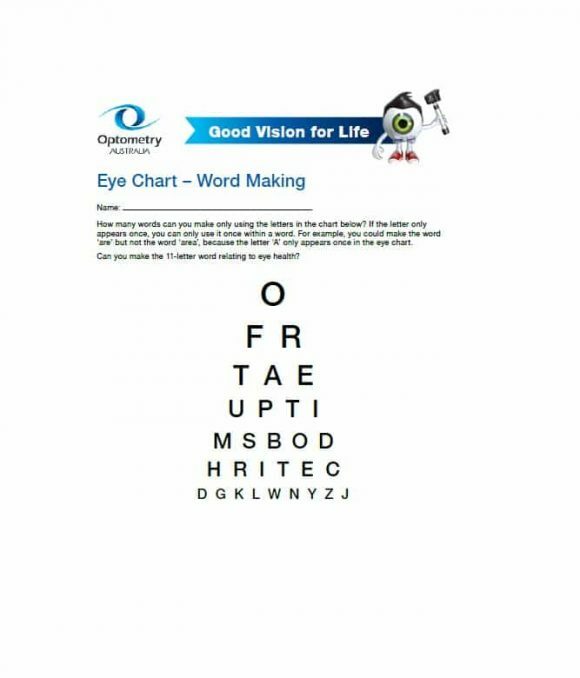 So, what are the other charts used by opticians for vision screening purposes? Let’s find out. In order to check the vision of a person, options use charts. 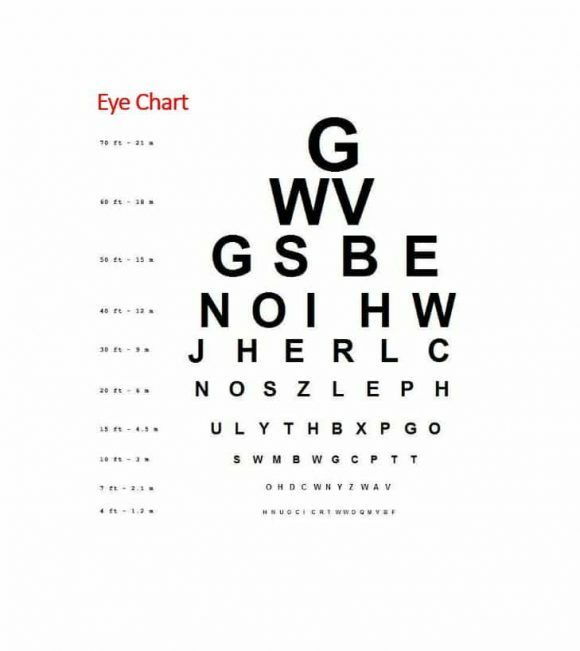 Following are some of the common charts used by opticians to check vision. 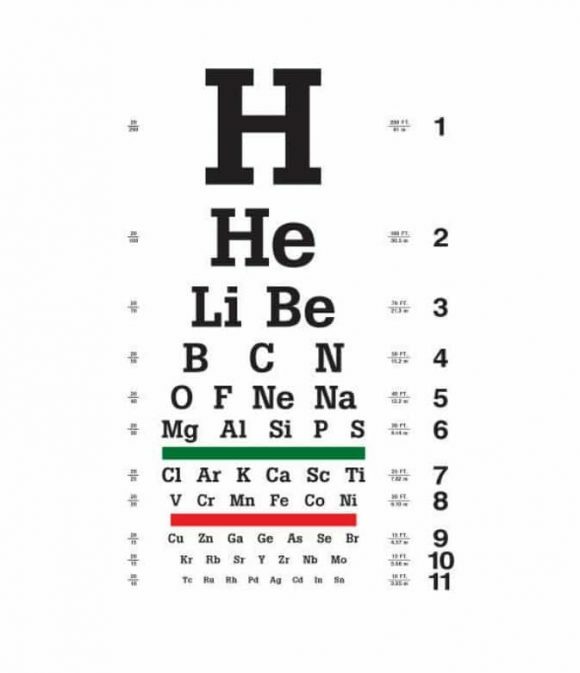 Developed by Hermann Snellen in the 1860’s, Snellen chart is the most commonly used eye chart. A giant letter E is the first line of this chart. Covering an eye, this chart is read from left to right and from top to bottom. 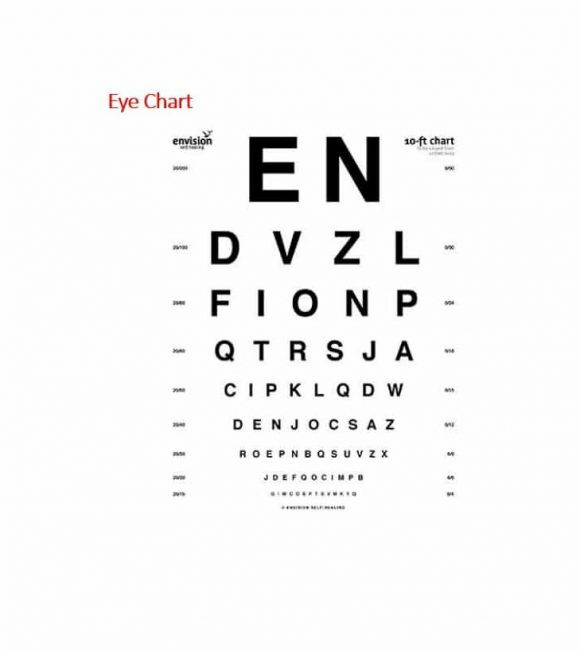 Used for adults with speaking/reading difficulties or children that are too small to read, Tumbling E is another chart used by many opticians today. 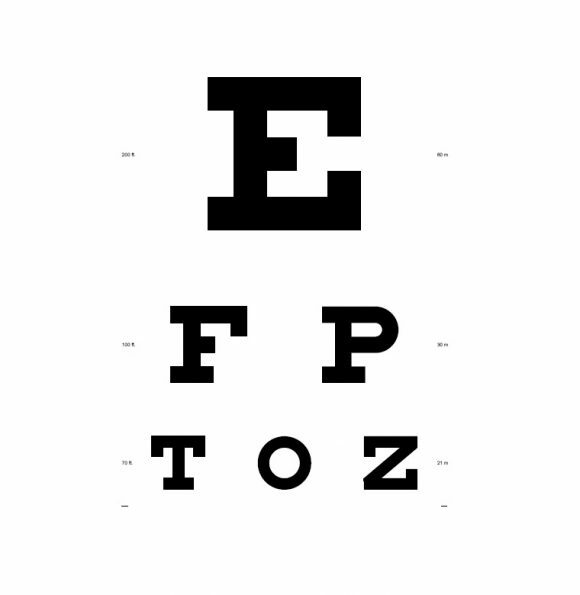 Depending on the orientation of the Letter E they see on the chart, the optician asks the concerned individual to their hand up, down, to the right, or left. 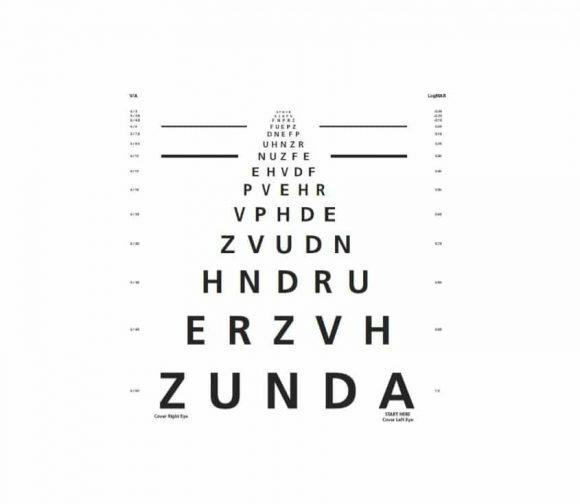 Created by Swiss ophthalmologist Edmund Landolt, Landolt C is visual acuity chart similar to the Tumbling E chart. A char that uses a broken ring symbol in various orientations, Landolt C is used to test the vision of mute or illiterate people. 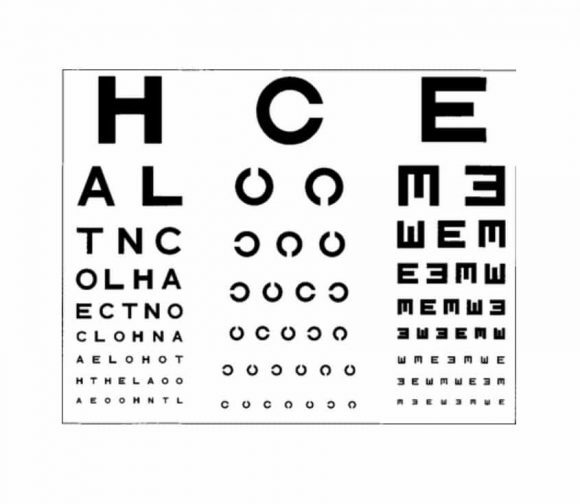 The study on Early Treatment Diabetic Retinopathy helped standardize both eye chart design and visual acuity testing. Accepted by the Food Drug Administration (FDA) and the National Eye Institute (NEI) as the mandated worldwide standard for clinical eye testing, ETHDRS is used by many opticians today. There you have it—the four most commonly used charts for visual screening. You can look at the templates of these charts if you want to know more about them. Talking about templates, you can easily find templates of many medical forms online including patient satisfaction survey. 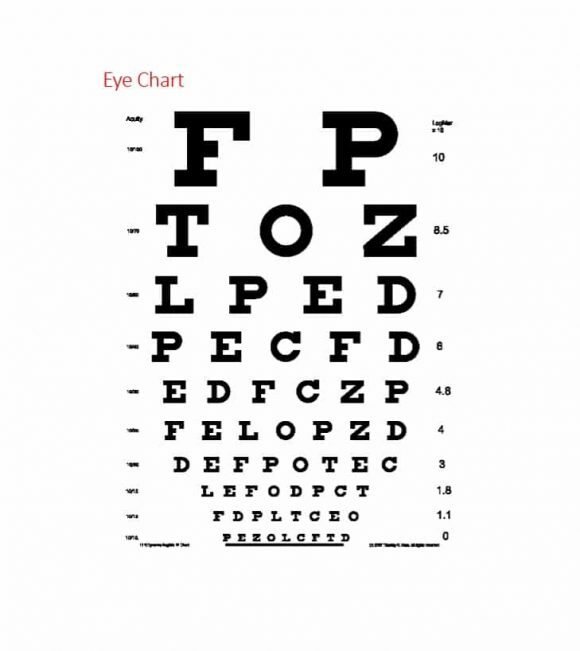 Now that we’ve discussed the different charts for vision screening, let’s discuss some important things related for eye chart test. The standard placement of the chart on a wall in the U.S is twenty feet away from a person’s vision. Unfortunately, the offices of most opticians/eye doctors in the U.S are not twenty feet long. This is the reason you find the charts hanging behind the chair of the patient in most optician offices in the U.S. In such offices, mirrors are used to simulate a distance of twenty feet. 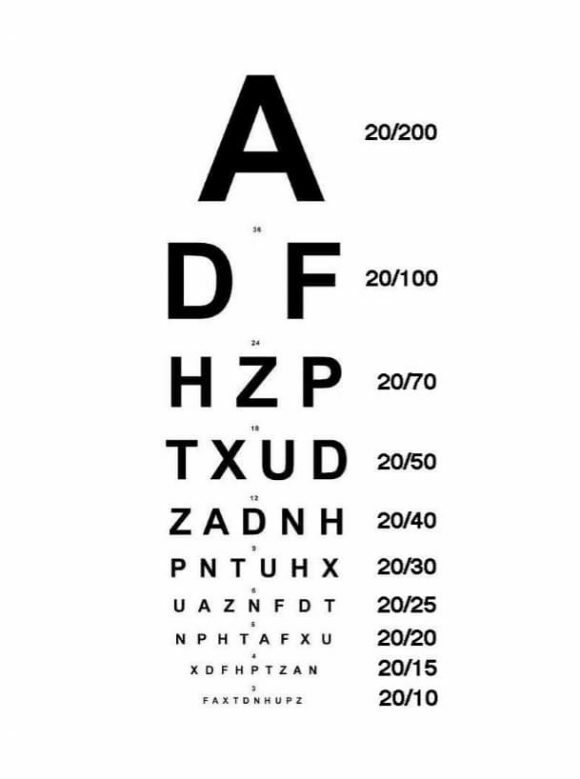 Considered as normal vision, 20/20 vision means that you can read from twenty feet away a letter people with normal vision are able read from a similar distance. Charts are configured in many different ways. 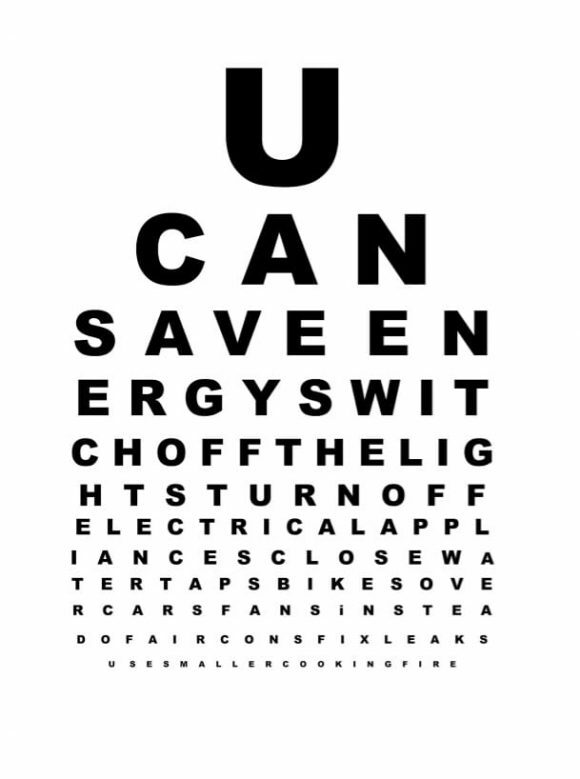 However, your vision is considered 20/200 if you can read the big E at the top but none of the letters below that. 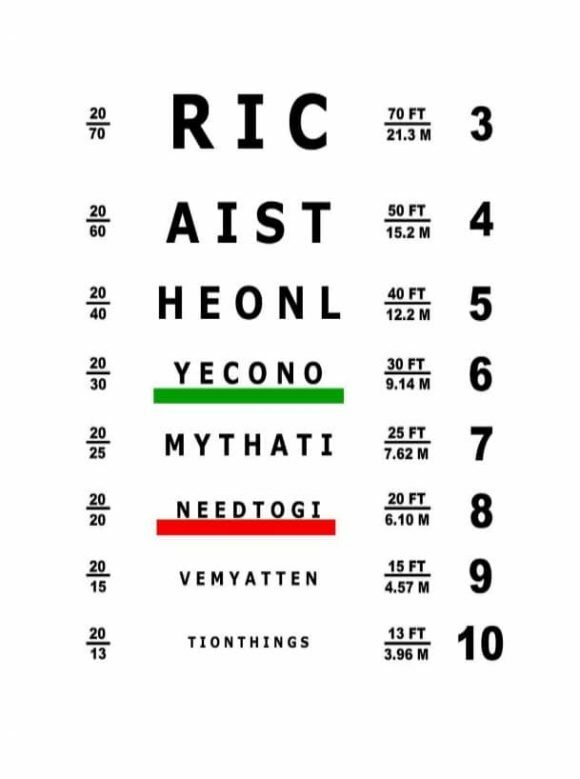 A 20/200 vision means that you can read from a distance of twenty feet letter that people with normal acuity can read from a distance of 200 feet. 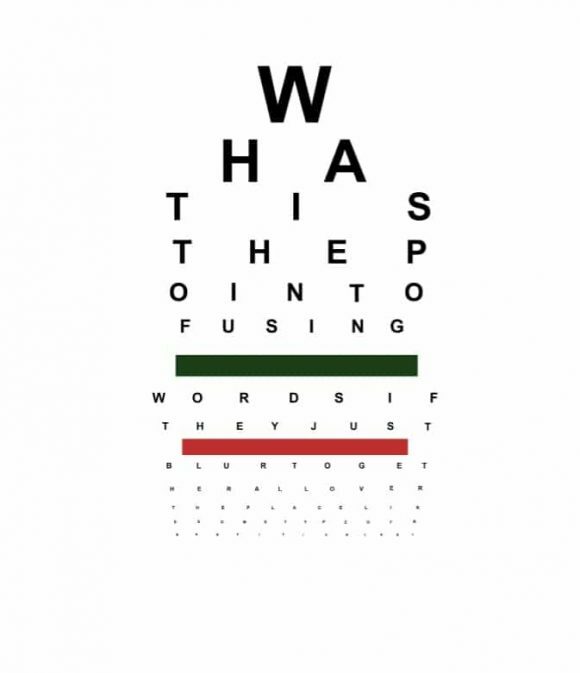 In short, your visual acuity is poor if you have a 20/200 vision. In fact, if your visual acuity is 20/200 or worse, you’re considered as ‘legally blind’ in the United States. 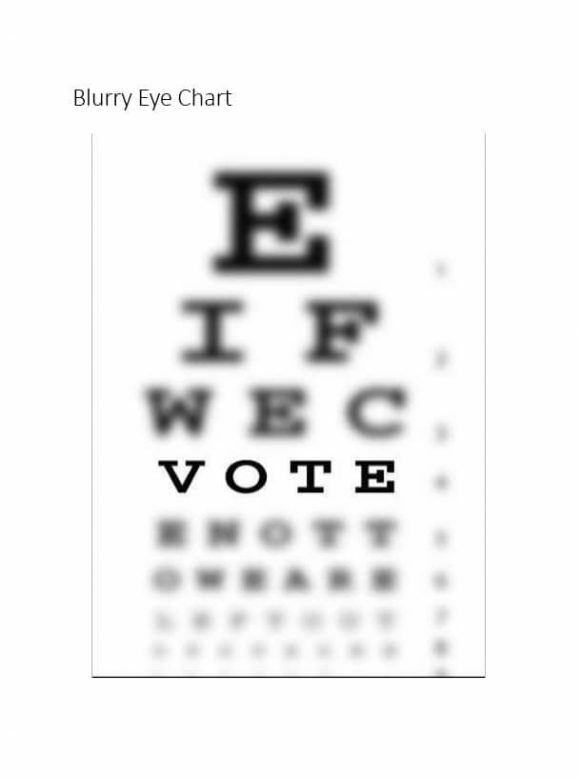 Unless your best-corrected visual acuity is 20/40, you won’t be able to get a driver’s license in most U.S states. Generally, fourth from the bottom is where you will find the 20/20 line of letters. 20/15, 20/10 and 20/5 are below the 20/20 line of letters on the chart. Although it is rare, the better visual acuity that any person can have is an acuity of 20/5 or better. 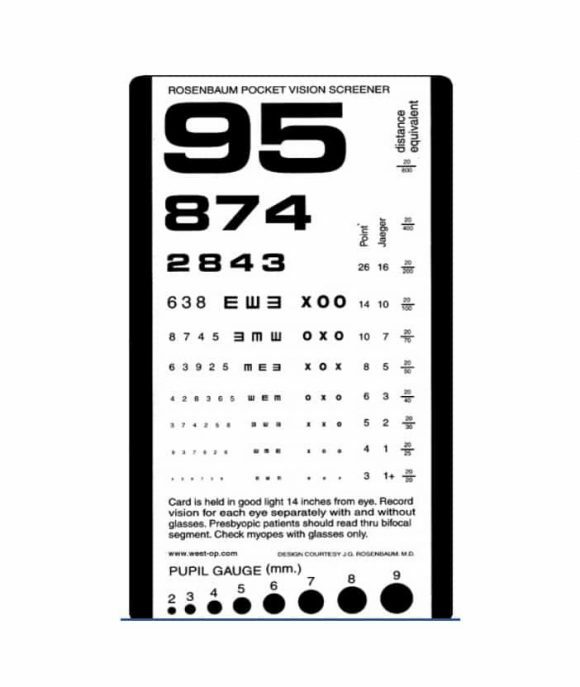 There are situations when Snellen chart, the most commonly used chart for vision screening, cannot be used. 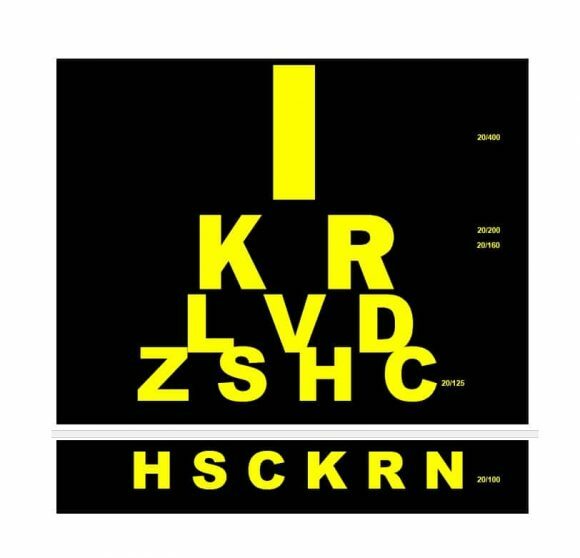 For example, Snellen chart cannot be used to test the eye of a young child who doesn’t know the alphabets or a shy person who is unwilling to read letters aloud. 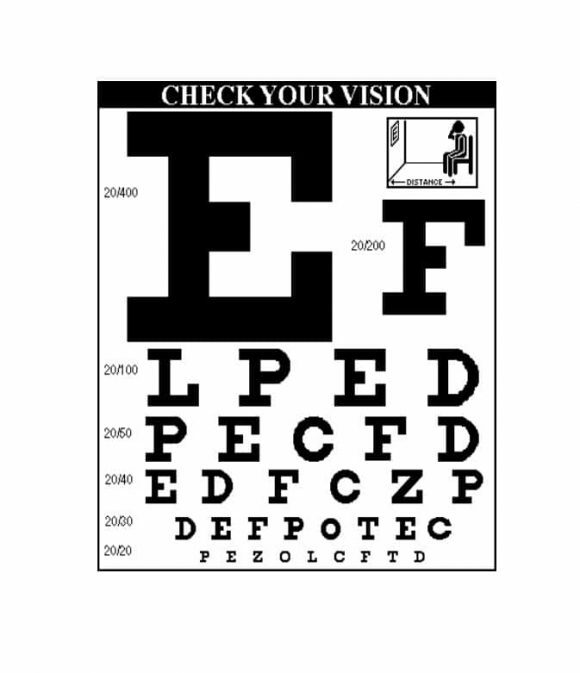 Also, the use of Snellen chart is avoided when the person being tested is illiterate or doesn’t have the ability to recognize letters or read them aloud. 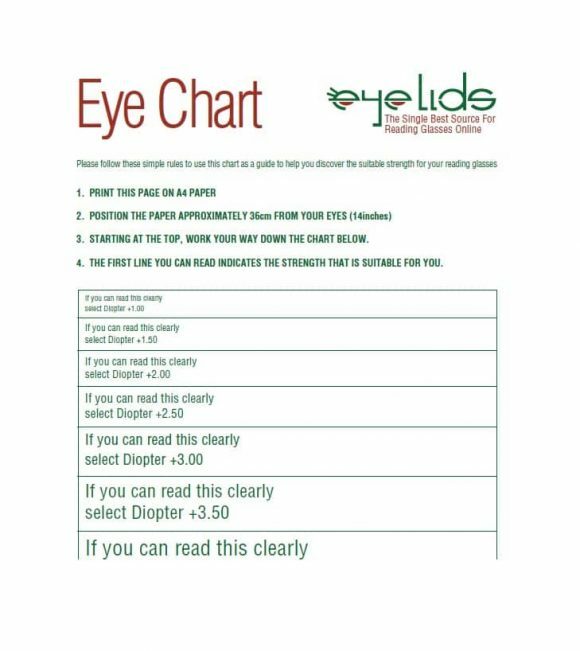 In the above-mentioned situations, the best thing any optician or eye doctor can do is use a Tumbling E chart. 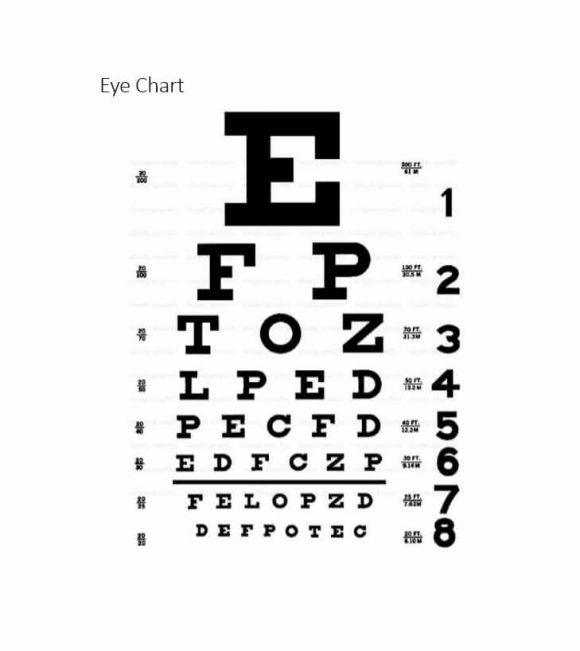 A chart with the same scale as the standard eye chart i.e. 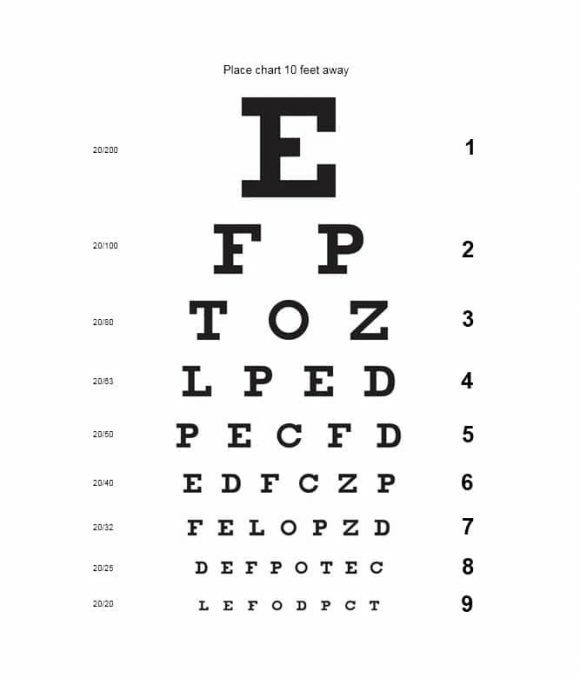 the Snellen chart, the Tumbling E chart contains only the capital letter ‘E’ in different spatial orientations. 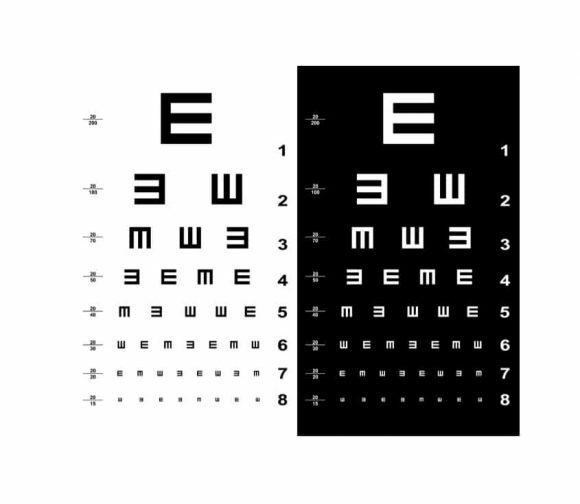 When using the Tumbling E chart to test a person’s vision, the optician or eye doctor asks the person being tested to use either hand to show which direction the fingers of the letters are pointing. 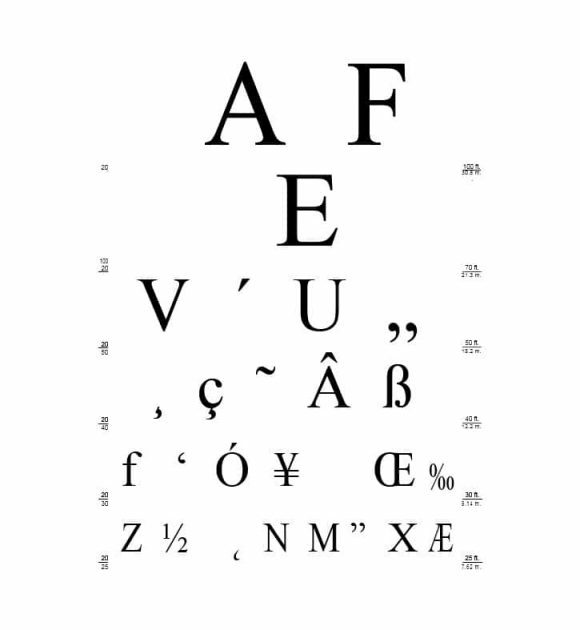 According to some studies, the measurements of visual acuity achieved with Tumbling E chart as the same as those obtained from a Snellen char used during an eye test. 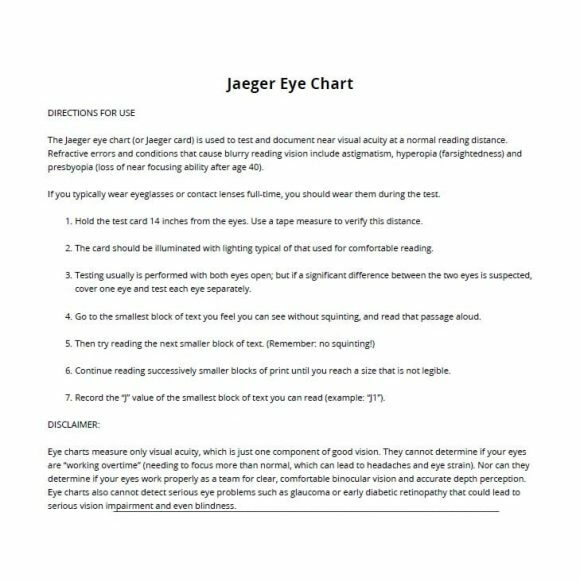 Now that we know the limitations of the charts used for eye testing, let’s take a look at an important development related to eye testing that has taken place in the not so distant past. In order to measure your distance vision, optician/ eye doctors compare your vision with that of a person with normal acuity. 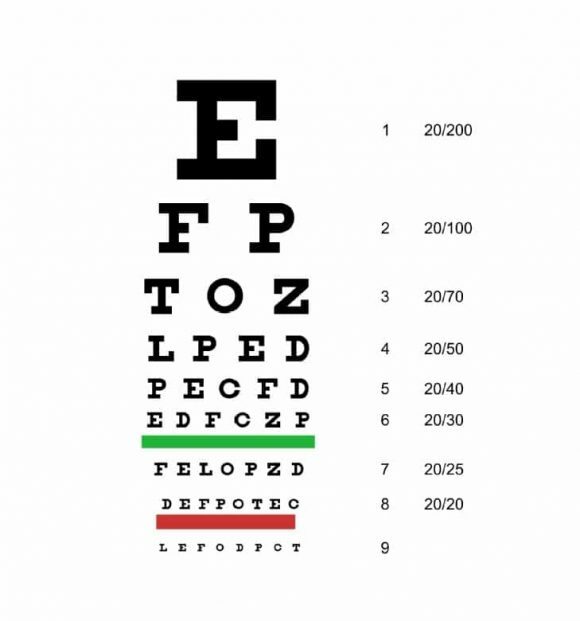 Previously, the normal vision was known as a 20/20 vision. However, it is now referred to as a 6/6 vision. 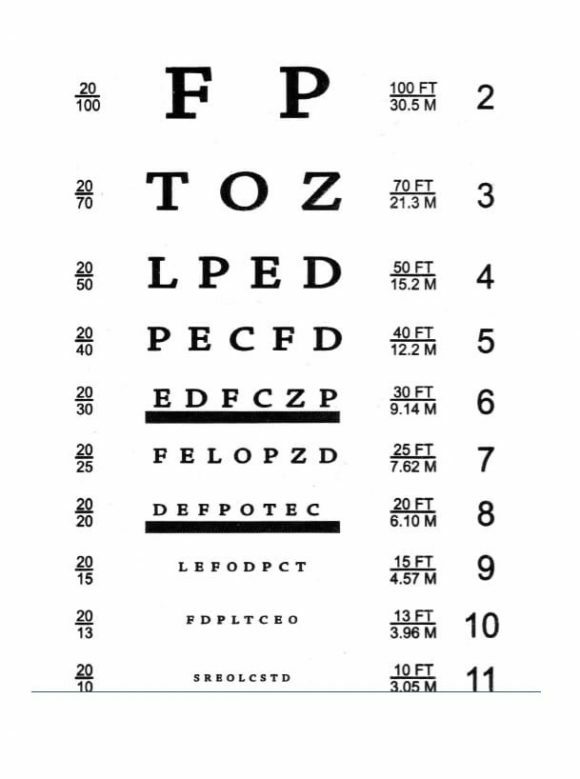 The lines in a Snellen chart are arranged in way that the lines become smaller as you keep looking further down. 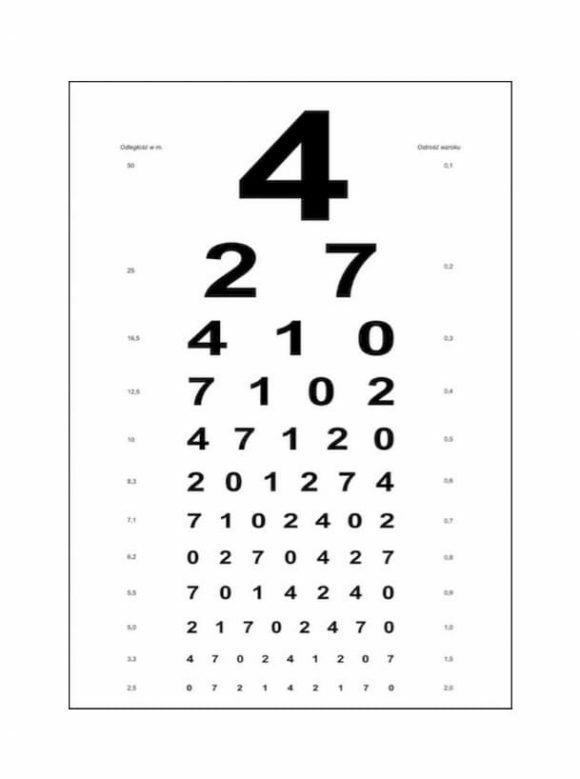 Exhibiting how far you are far from the chart, the first number of your visual acuity measurement is generally 6 meters or twenty feet. The second number shows the distance from the chart at which someone with a normal vision would see the chart. 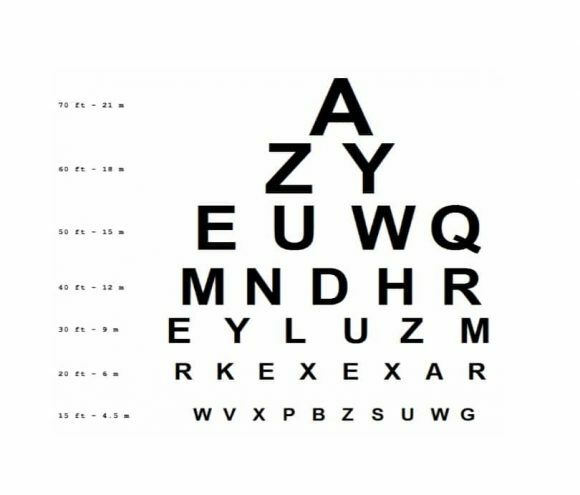 This means that you see at 6 meters what a person with normal vision can see from a distance of 12 meters if you have a 6/12 vision. In simple terms, a 6/12 vision means that your vision is half of normal. 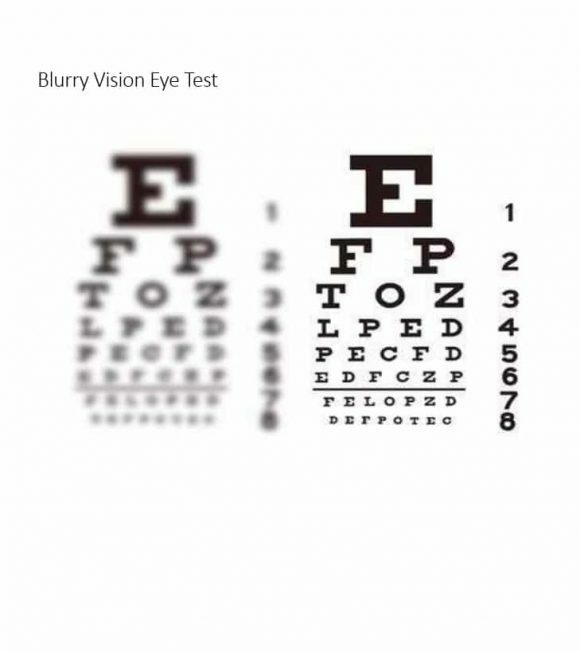 By testing your vision, opticians determine whether or not you need glasses or contacts. Not all of us have perfect eyesight. Having your eye tested is a good way to find out whether or not you have perfect eyesight. 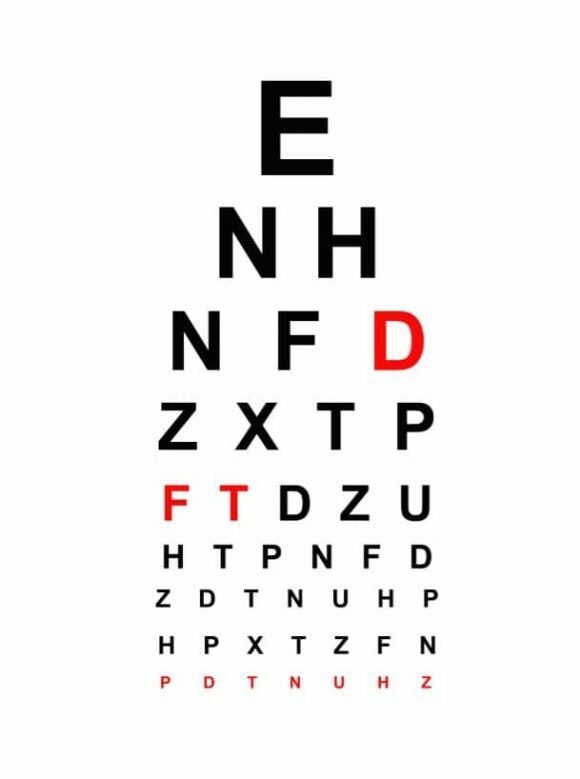 When you visit the optician or eye doctor, he or she will use an eye chart to determine your visual acuity. 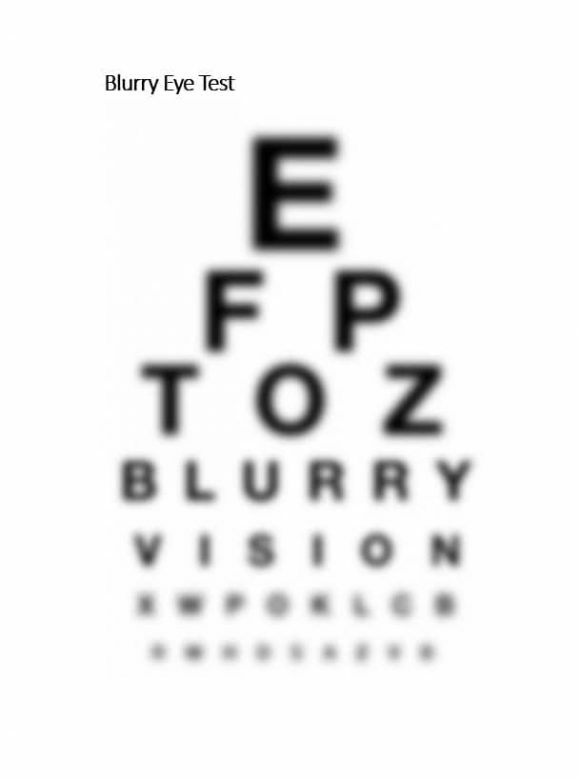 After checking your visual acuity, the optician/eye doctor will inform you whether or not you need glasses/contacts. 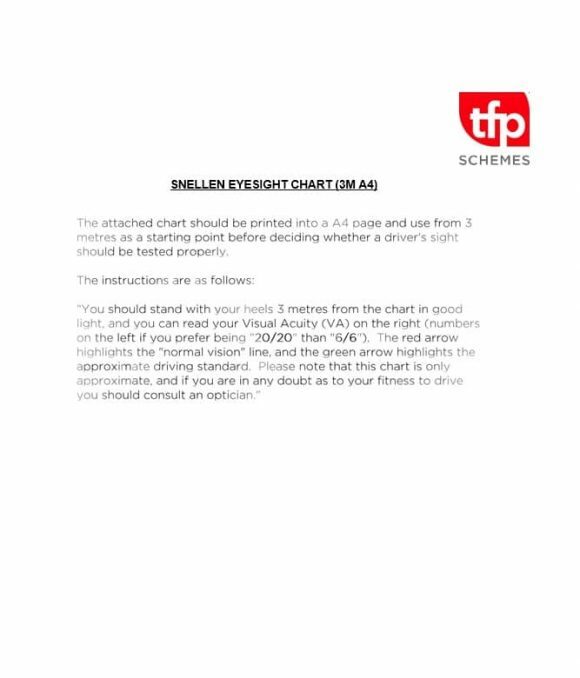 If you want to know what’s included in the chart used by the opticians, take a look at its template.